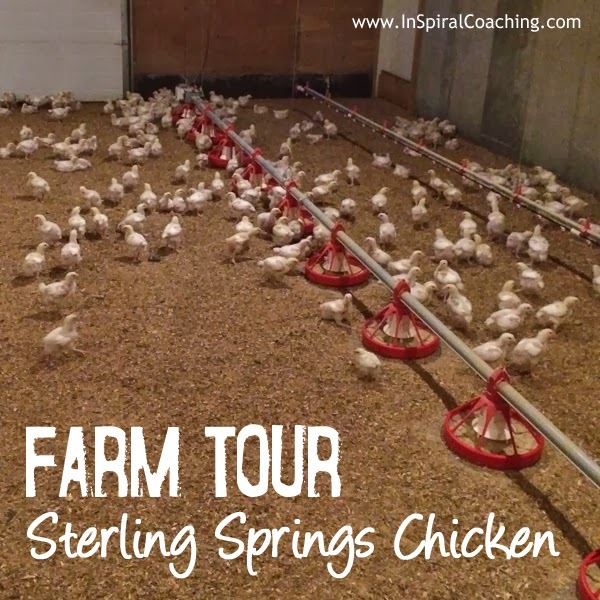 InSpiral Coaching: Happy Chickens live at Sterling Springs! Happy Chickens live at Sterling Springs! There's been a lot of bad press lately, (and rightly so) surrounding the treatment of animals and the quality of meat that comes from big commercial farms. Well, if you live anywhere near The Okanagan I have the answer for you! This weekend I had the privilege of my own private tour by Lisa and Hans Dueck - owners and 365 days a year workers at Sterling Springs Chicken Farm just outside Falkland. Nestled in the hills overlooking the valley below can be found one of the most ethical and decent food processing operations I've ever seen. In three heated barns (the size of which would typically hold tens of thousands) live just hundreds of clean, healthy, well fed and stress free chickens. They wander around these spacious rooms with what looks like not a care in the world. There is plenty of feed and more importantly, plenty of access to it. No survival of the fittest here! 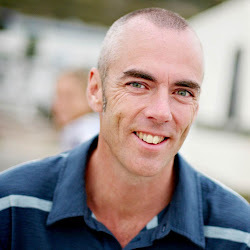 They don't receive any hormones and not a single antibiotic; to the point that when asked by a Govt inspector what would happen if they caught a harmful bug, Hans replied he'd sooner cull them all than fill them with unhealthy, (to them and us) chemicals. Due to the size of the operation, losing a few hundred chickens worth of profit won't break the bank. Try that when you have tens of thousands! They manage the whole process themselves on-site, from eggs through to the end product, whether that be whole frozen chickens, parts thereof or 100% chicken breast ground sausage. And by 100% I mean no fillers, no other chicken meat, no added water! Instead of the more financially efficient and business savvy practice of processing the chickens at 30 days, they let all theirs grow naturally and comfortably until eight weeks - the accepted but often ignored optimum age for human consumption. 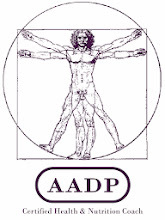 For more information visit (and 'like'!) the Sterling Springs Chicken Farm Facebook page where you can find their latest price lists and promos and details of their local deliveries. What a great post Chris. If I were a meat eater I would feel better knowing that the chicken I'm eating and feeding to my loved ones is actually chicken, no hormones, no antibiotics and was able to walk around with no problems. Sadly not all of us have access to Sterling Springs Chicken Farm but is good to know that it can be done the right way, that raising chickens the right way is not something of the past.